By Stephen Ryan | October 10, 2017. The ‘Solas Project’ is a community development organisation that tackles early school leaving and youth crime. The project, in place for a decade, operates on the belief is that tackling these issues will allow communities as a whole to benefit. “Our focus is going after young people, supporting them, and ensuring that they discover their own abilities and self-worth. We want them to make better decisions for their future, and in turn, benefit their own community,” is what former Head Gardener (CEO) of Solas, Graham Jones had to say about the goals of the Solas programme. Solas place a lot of emphasis on self-worth, character, awareness and motivation in order to address socio-economic and educational imbalances which we are evident in Ireland today. The main focus of Solas is on young people living in South-Inner city Dublin. They provide various programmes, each with the idea of preparing young people for any changes they may face as they grow older. These programmes include Solas business, Solas college and Solas sports. 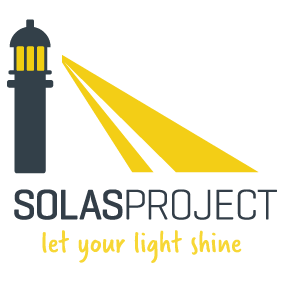 Solas provide selected mentors for each of their programmes. Each mentor is there to develop both personal and social skills of children and teens. They strongly support young people to strive in today’s society and to create the brightest possible future for themselves and their communities. “We run a college awareness programme, raising expectations around the idea of going to college and reducing any potential barriers that might be there from a built-up perception from a child or a family that it’s not a possibility,” said Graham. The aim is to introduce young children who are at risk of educational inequality, those who feel they may have no potential in reaching college, to the idea of attending any college that they desire. The ‘Solas Sports’ programme is run by Stephen Mullarkey. Stephen has successfully acquired a level 1 coaching certificate from the Football Association of Ireland (FAI), and it’s clear that this is being put to good use. Stephen’s role as mentor is largely spent out on the pitch. He runs a five-week tag rugby course with both 5th and 6th class students across twelve different primary schools throughout the academic year. Stephen also facilitates sports hall sessions with the Solas Project’s ‘after schools club’ once a week.